Portable Hammock Just $18.99! Down From $96! You are here: Home / Great Deals / Amazon Deals / Portable Hammock Just $18.99! Down From $96! If you are going for a camping then you might want to check this out! Amazon is currently offering this Portable Hammock for just $18.99 down from $95.99 when you use promo code 3P2WNWYG at checkout! This hammock is made of high quality parachute nylon, and it is lighter and thinner than traditional hammock. It’s so easy to set up and comfortable to lie down in it which makes it the best choice to bring for camping. You can also set up the hammock in your garden, and enjoy a wonderful afternoon while lying down in it. Perfect summer! Hurry before the promo ends! 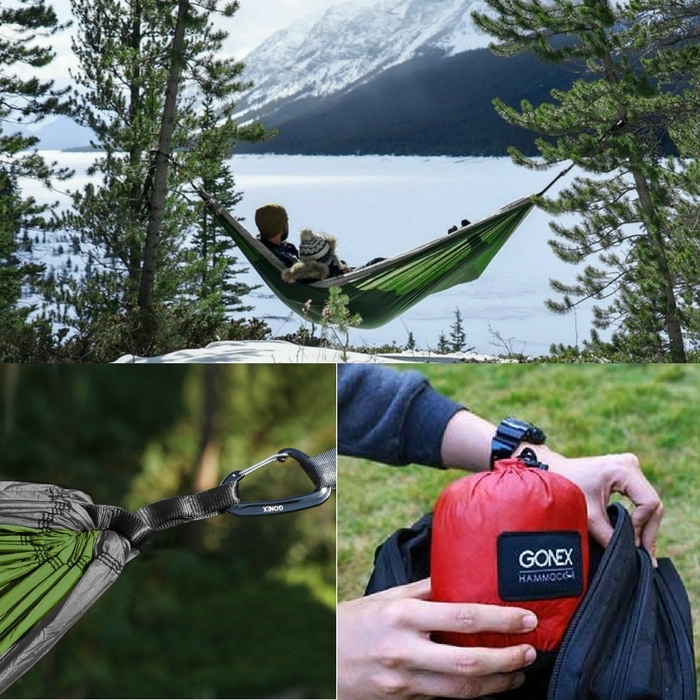 Cost Effective: You will not only buy the hammock itself but also get TWO FREE hammock straps and TWO FREE aluminium carabiners (cannot be used for Climbing) in a package.The stuff sack is more exquisite and durable due to its elegant and tough stitching, so you don’t need to worry about the gadgets. Broad application: it is popular among backpackers, camper enthusiasts, beach travelers and outdoor explorers who can have a rest or sleep on it after a long trek. All the accessories can be fitted conveniently onto one integrated stuff sack, making it portable and easy to pack for all outdoor adventures as well as having a rest in your garden.